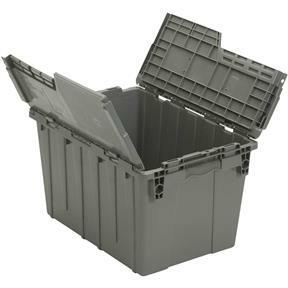 This industrial strength container with attached hinged cover provides easy storage and efficient use of available space through nesting when open and stacking when closed. 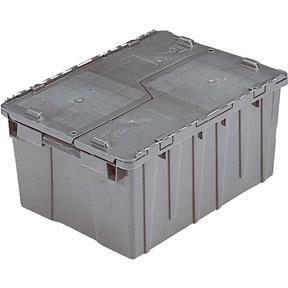 Organizational uses are virtually limitless for your work shop, garage and home. 12.9" in height. 11.8" product clearance.